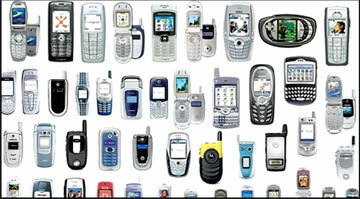 Sri Lanka’s mobile phone market recorded sales of over 0.57 million units in Q4 (October-December) 2012. This was reported in the Sri Lanka Mobile Handsets Market Review 4Q 2012, April 2013 release published by premier IT, Telecoms and Semiconductor & Electronics, market intelligence and advisory firm CyberMedia Research. In the overall Sri Lanka mobile handsets market, Nokia emerged as the leader with a 31.9 % share, followed by Samsung at second position with 17.4 % and Micromax at third position with 10.4 pc, in terms of sales (unit shipments) during 4Q 2012. Commenting on the results, Faisal Kawoosa, Lead Analyst, CMR Telecoms Practice said, “With the level of volumes that the Sri Lanka mobile handsets market is doing, it is a natural extension of business opportunity for Indian players. There are many common areas of social, cultural and economic similarity between India and Sri Lanka, making Indian handset brands highly viable for Sri Lanka consumers,” Faisal added. Smartphone sales (shipments) touched 0.05 million units in Sri Lanka during 4Q 2012. Samsung emerged as the leader in the smartphone segment with a 47.07 % share in 4Q 2012, followed by Sony Mobile with 12.50 %. Huawei occupied third place with 10.71 % share of shipments during the same period. Though 3G connectivity has been limited in the island nation, it is expected to pick up once operators expand their infrastructure to newer areas and optimize the existing coverage. This will result in a rise for demand of 3G-enabled smartphones amongst Sri Lanka consumers,” said Tarun Pathak, Analyst, CMR Telecoms Practice.